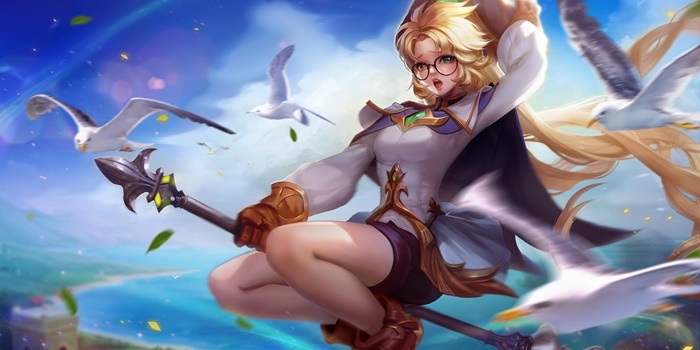 Annette Item Builds Guide for Arena of Valor (AoV). Each build is geared toward a different play style, so choose one that fits your personal preference. These items are necessary in order to play Annette optimally. Only diverge from a core item if you are a very experienced player or you have a very good reason for doing so. Frosty’s Revenge As a support that relies on crowd control to assist her team, Annette is greatly supported by an additional slow. The movement speed that Frosty’s Revenge offers will also help Annette get between lanes and position herself in team fights. Berith’s Agony Berith’s Agony is a strong item that offers some good stats, especially for magic supports. Its passive stacks with the health shred that Gust Force offers. This allows her to help tear down tanky enemies, especially those who stack HP items. Wind Stone As a support, Annette can get a lot of use from Wind Stone line support items. The movement speed will help her move between lanes and position herself, Annette rather reliant on her positioning. Water Stone Water Stone is a good option, since Purifying Bracers got a buff that cleanses any control effects from all nearby allies. Get this starting Support Item to build into Purifying Bracers if you see the opposing team has a lot of Control. Orb of the Magi When building more offensively, Orb of the Magi can be a great way to start the build. Offering ability power, cooldown reduction, health, and mana, the item has everything a spellcaster needs to be effective. Frost Cape Annette can always use some more control. Frost Cape adds an additional slow to Annette’s kit, allowing her to keep people trapped within Gust Force for additional damage and set up kills for her team. Hecate’s Diadem While not offering any utility, Hecate’s Diadem offers immense amounts of ability power. When building more as a mage or assisting with damage, Hecate’s Diadem is one of the best items to get to take advantage of Annette’s ability scaling. Mail of Pain Annette is weak to ranged attackers in particular given her ability to push enemies away with Hurricane Wall. Mail of Pain is a good answer to marksmen, reflecting some of their damage back at them. Medallion of Troy While Mail of Pain and The Aegis protect against marksmen and physical attackers, Medallion of Troy is an answer to mages. The shield it offers will give Annette some additional staying power when harassed by mages from outside of Hurricane Wall. Holy of Holies Similar to Hecate’s Diadem, Holy of Holies is more of a huge source of stats rather than any sort of utilitarian item. While not having the same ability power potential as Hecate’s Diadem, Holy of Holies provides both large amounts of ability power and health, both giving the girl a bit of offensive power while also hardening her to enemy attacks. Flashy Boots Reliant completely on her abilities, Annette loves getting as much cooldown speed as possible. Offering a hefty 15%, Flashy Boots can be a wonderful choice for the support. Gilded Greaves Despite having some ways to pull out of control effects on her own, Annette can’t support the team when stunned. Use the resistance that Gilded Greaves whenever the enemy team has a lot of control at their disposal. Enchanted Kicks While not the most offensive of heroes, Annette can benefit from a bit of additional magic pierce. Annette has a decent amount of damage potential in her kit and thereby can help tear down enemies in fights. This build tries to make Annette into a durable roamer who will travel between the lanes and set up ganks with her crowd control. She will hit the 40% CDR sweet spot between The Aegis, Medallion of Troy, and Berith’s Agony while getting some substantianal defensive boosts along the way. She won’t have much when it comes to offensive power, instead relying more on her teammates to finish off foes. Another build that makes Annette into a roaming ganker, but this adds some additional slow through Frost Cape. She won’t be quite as durable here, but will be able to trap enemies in her winds for long periods and better prevent enemies from escaping or approaching her allies. Here we rely on ability power rather than fully focusing on item effects. While squishy, Annette will be able to add in to her team’s damage and tear away at enemies’ health. She will still have a significant amount of control in her kit through her abilities, ensuring that she stays viable as a support. More ability power will mean more healing with her passive as well, so it is far from useless when it comes to her support potential.